Uncompahgre is the sixth highest peak in the Rocky Mountains of Colorado. The word is from the Ute language and means "dirty water", in reference to the red spring water from the area. I don't know if this was flowing through the minds of cornetist Kirk Knuffke and clarinetist Ben Goldberg when they got together and came up with these set of improvisations, but the music that poured forth was subsequently named Saguache, Basalt, Blue River, La Junta, Ouray, Gypsum, Rocky Ford, Leadville, Granby, De Beque, Paonia, Fairplay, Carbondale, and Cortez. A little more digging and I realized both Knuffke and Goldberg come from Denver, and the titles were a homage to their origins. What bubbled to the surface is the product of forces that operate deep in the core, culminating in a series of miniatures - 'Granby' is the longest at a smidge over 5 minutes, while the closer, 'Cortez', clocks in at less than a minute. 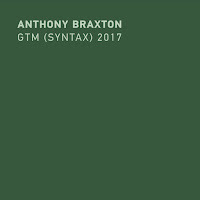 These improvisations are succinct but whole ideas, no fluff, nothing over staying, no searching for 'the moment', it's the work of two masterful musicians engaged in an effortless dialog. Both Goldberg and Knuffke have many duo recordings to their name - Goldberg recently released Practitioner, which was an interpretation of saxophonist Steve Lacy's Hocus Pocus. 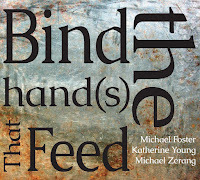 There is also the recent release with pianist Myra Melford, Dialogue, and his Clarinet and Drums duet with Hamir Atwal. Knuffke released the excellent Fierce Silence with drummer Whit Dickey in 2016, and the absorbing Moon with Karl Berger in 2015, among others. So both are well versed in the spontaneous dialog of the duo format, and the listening, reacting, and empathy it takes to make such an intimate type of recording. 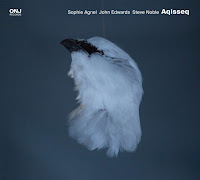 The album begins with 'Saguache', following a snippet of dialog. 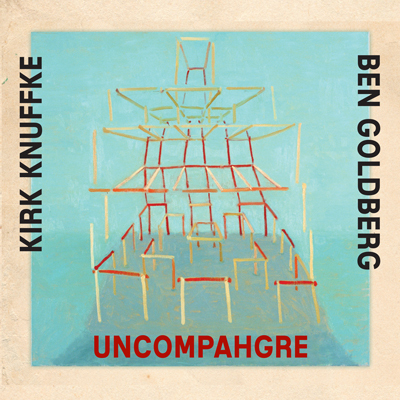 Goldberg's lone clarinet plays a climbing etude with a bluesy ellipses at the end two times though and then Knuffke joins, responding but also taking the idea in a slightly different direction. The two are off and the musical chemistry is obvious. 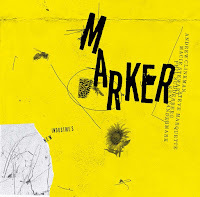 Keeping upbeat and bouncing rhythmically, Goldberg's theme appears over and over, though never quite the same, as Knuffke chases several ideas to their end, only to return to the core and start again. 'Basalt' follows, and it begins on the squeakier side of things, but settles into long held notes, interspersed with melodic figures. 'Blue River' begins again with Goldberg, a trilling and vibrant melodic figure, a cross between a scale and bat flying too and fro during dusk. Knuffke offers a melody that touches in that place where it's almost familiar, but at the same time, it's nothing you have ever heard before. Here, Goldberg offers choice accompaniment - spare and effective - to give the cornetist something to work from. As previously mentioned, the camaraderie is apparent from the get-go, but as they get further into the recording, they seem to grow even more comfortable and willing to stretch out. 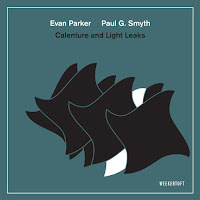 'Gypsum' is a laid-back affair with an evolving theme, and featuring a vulnerable sounding clarinet counter melody to the cornet's legato tones. 'Rocky Ford,' the follow up, was most likely just a marker made in post production, as the ideas seamlessly flow, until finally petering out with the clarinet. Fast-forwarding ahead almost to the end, 'Carbondale' finds the two reprising the swinging types of lines, laden with blue notes, that the recording opened with all the way back in 'Saguache'. The 54-second 'Cortez' offers a succinct closing statement from Goldberg, where he seems to play the reverse sequence of the album's opening arpeggio. 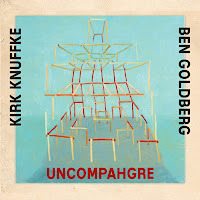 Unlike the place, Uncompahgre, the album, is a crystal clear flow of ideas and spontaneous duets, featuring the technical prowess and musical compatibility of two top notch musicians, and is sure to find a featured space in your collection.